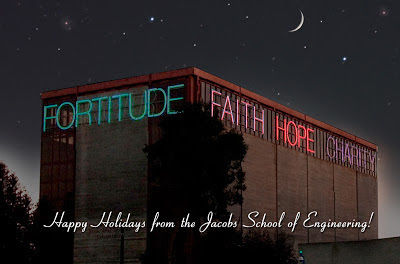 Happy Holidays From the Jacobs School of Engineering! Wishing everyone a great holiday break! Learn more about the Vices and Virtues art piece by Bruce Nauman here. Learn more about hte Charles Lee Powell Laboratories here. 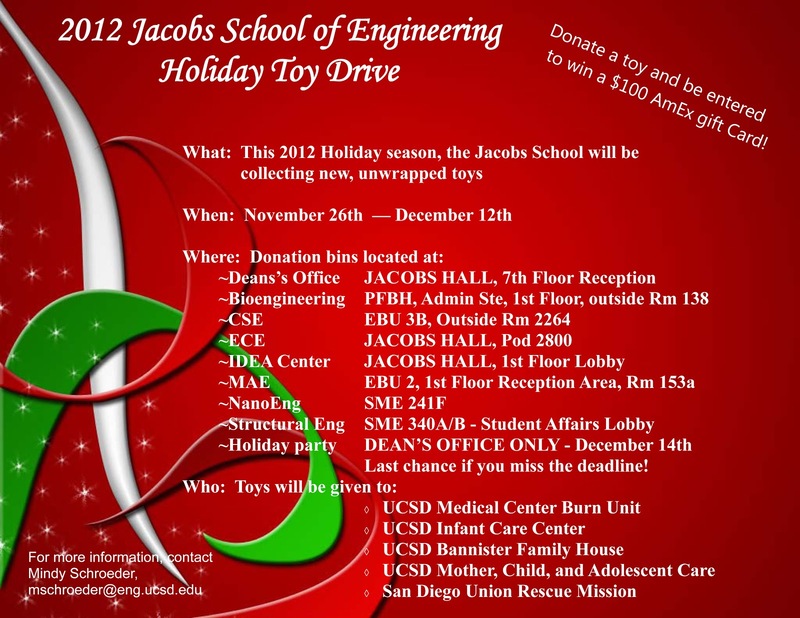 Note: The Jacobs School of Engineering, and the UC San Diego campus, will be closed Dec. 22 to Jan. 1. 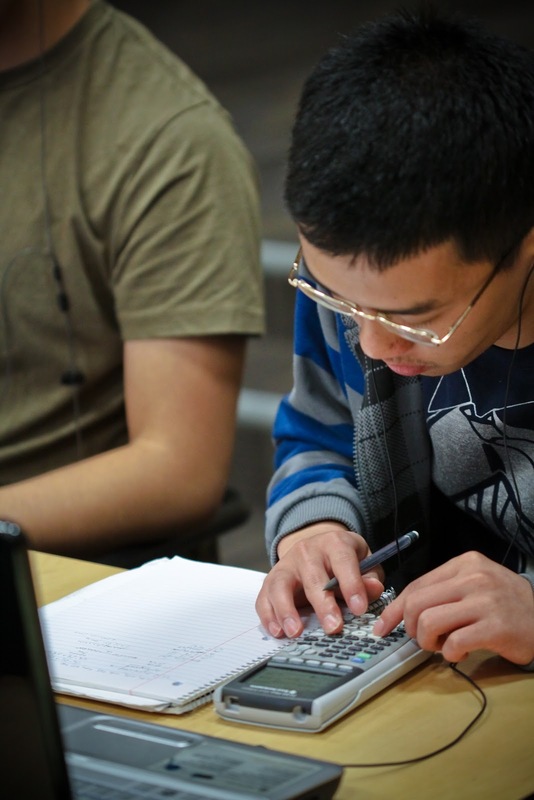 Microrockets developed in the lab of Prof. Joseph Wang at the Jacobs School of Engineering are featured in The Economist's "The World of 2013" issue, now available online and at news stands. 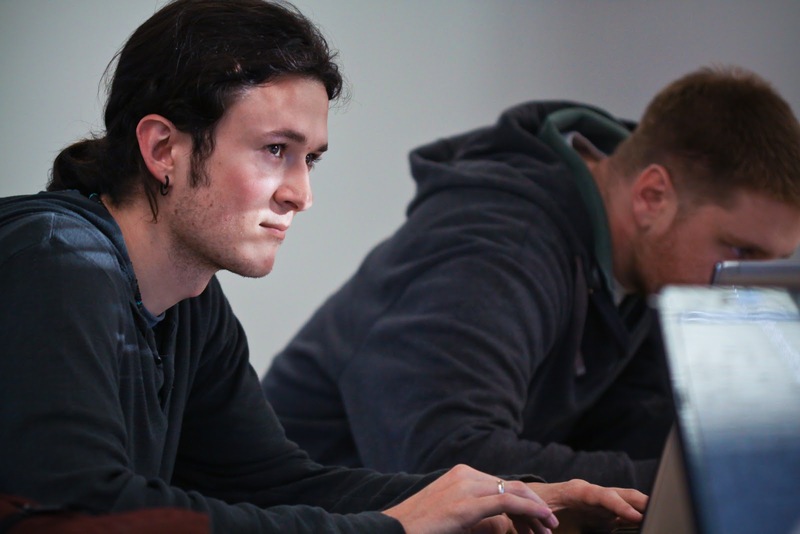 "On the diagnostic front, a variety of nanotechnologies have been developed for the detection of cancers, including circulating tumour cells (CTCs), which are responsible for a cancer’s spread. 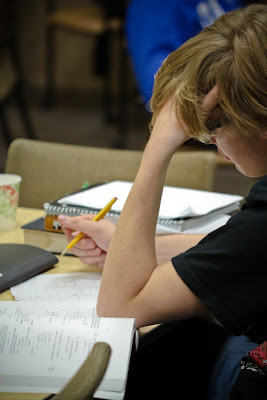 The challenge is that CTCs are few and far between. Normally, a few mingle with the 10m or so white blood cells and 5 billion red blood cells in each milli-litre of blood, making their detection and isolation a formidable challenge. Recently, though, a group at the University of California, San Diego, has developed self-propelled “microrockets” about 10,000 nano-metres long. These carry a small amount of zinc as fuel and, in a reaction that may be familiar from school chemistry lessons, this fuel can be made to react with natural acids in the body to generate hydrogen, which is then used to propel the rocket. Thus, at least in tissues which are acidic, microrockets should be able to move actively about. Experiments suggest they can navigate through a sample of blood at a speed of about 0.3 metres an hour. Moreover, such microrockets might be guided from outside the body using magnets, if suitable magnetically sensitive materials were built into them. That guidance, plus their rapid propulsion, would make them more likely than otherwise to encounter CTCs, which they could then selectively pick up and transport to a desired location for analysis. 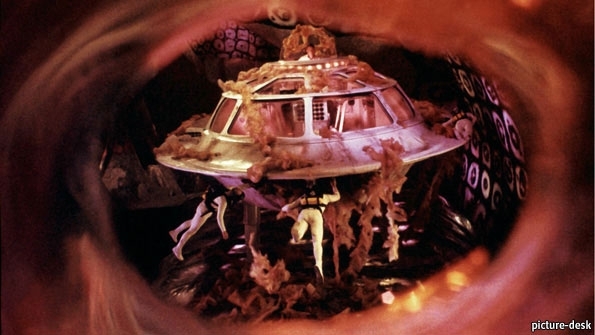 Proteus, the submarine in “Fantastic Voyage”, was nuclear-powered—a system of propulsion that remains beyond nanotechnology. But zinc propulsion is still an impressive feat. As it suggests, the field is advancing by leaps and bounds. With luck nanomedicine will, indeed, make its own fantastic voyage into the future." 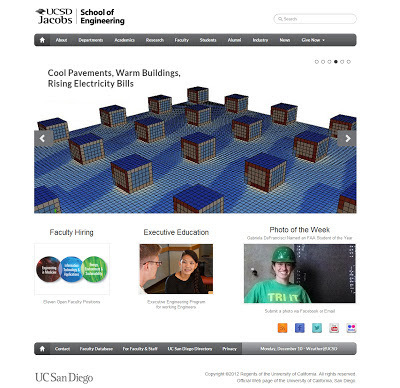 2012 has been a busy year for news here at the Jacobs School of Engineering. We've compiled some of our best media coverage and wanted to share these with our readers. They are organized by subject. Enjoy! 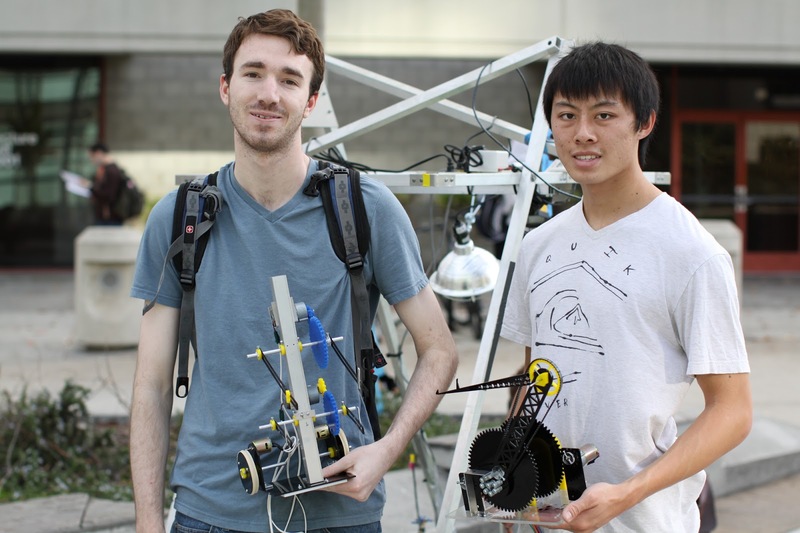 Zach Johnson, a sophomore bioengineering major, was part of Team Catastrophe…though the robot competition was anything but for him. He and sophomore bioengineer Jeff Lim, from Team Hazard, agreed that the robot competition was a great finals week project, especially since their grades were not riding on their, or their robots’ performance. 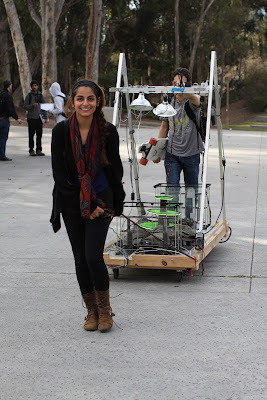 Students were evaluated last week based on their robot effectiveness. 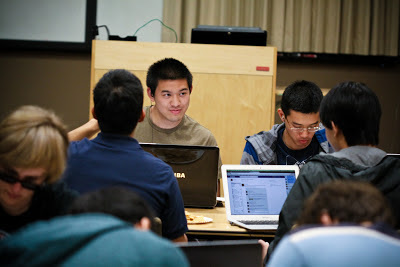 Check out YouTube videos of all the teams, including Team Hazard’s perfect run! 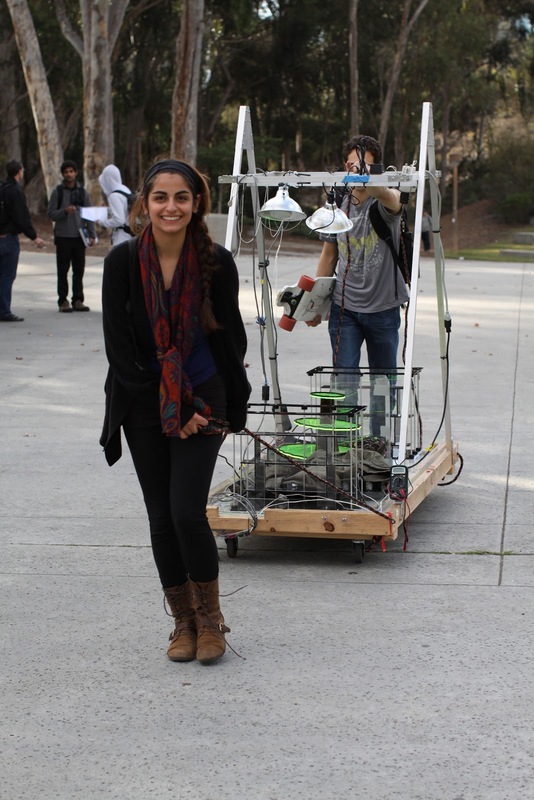 We also ran into (and photographed) two of the section tutors for the class, Sara Taghizadeh (below), a senior mechanical engineering major, and Sam Jafarian (behind the cart), a second year mechanical engineering major who joked back and forth with each other as a crowd of pre- and post-exam students passed by their big cart loaded down more robots, trees and plastic-monkey cages. 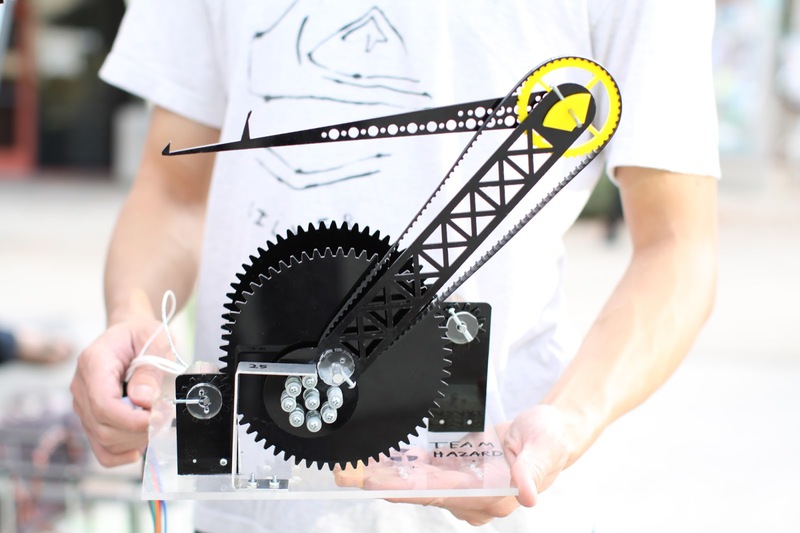 Model Clock Project (2.5 weeks): Students will use AutoCAD to design an escapement wheel and pendulum for a model clock, and make the model using shop tools. Robot Design Project (7.5 weeks): Teams of students will design and build a machine for a competition using DC motors, solenoids, and fabrication tools. 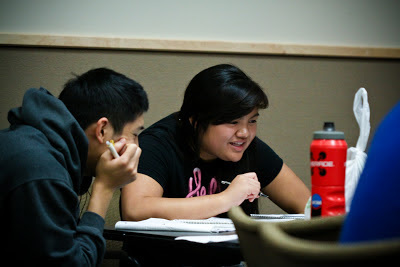 It's finals week here on campus, at the Jacobs School, that means one thing: students are getting together at the many study sessions offered by organizations such as Eta Kappa Nu, WIC@UCSD, TESC and more. The IDEA Study Lab also is offering tutoring sessions. 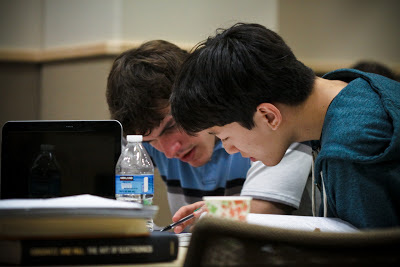 Tuesday, we went by the study lab and by the Henry Booker Room at Jacobs Hall, where ETA Kappa Nu was putting on a Study Inn with free snacks, to capture all the hard work and studying taking place this week. 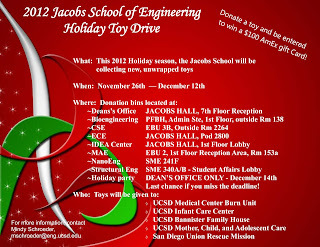 Members of the Jacobs School community have two more days to donate a toy for children in need--and be entered in a raffle to win a $100 AMEX gift card. You will receive a ticket for the raffle when you drop off your donation.